Bandon is gearing up to host the first annual Gorse Blossom Festival during President’s Day weekend, February 17th-19th. As you can tell from the name, this isn’t your typical festival. Gorse? Inside the farmer’s market building you’ll find three incredible days of beer and wine samples from across the state, tasty bites from local restaurants, live music from the southern Oregon coast’s best bands, and some quirky entertainment that you won’t find anywhere else. Tickets for the festival are $15 a day and include a commemorative glass to be used for your beer and wine sampling. If you find yourself in need of a break from the festival proper, take a stroll through Old Town and shop, check out the Oregon Coast Film Festival, or squint the tiniest bit for some stellar views of the ocean and remember that we are so lucky to live on the most beautiful coast! When the festival ends at 6 pm each night, the fun continues with winemaker and brewmaker dinners at local restaurants. Pairings include The Loft and Arch Rock Brewing, Edgewaters and King Estate Winery, Billy Smoothboars and Pelican Brewing, and Alloro and Abacela Winery. On Friday night you’ll even find a Presidential themed pub crawl! One of our favorite events is a Bloody Mary Stroll on the morning of February 19th starting at 9 am. For $20 you get a glass and a t-shirt and start your journey through Old Town customizing your gigantic beverage with a variety of spices and sauces, over-the-top garnishes, and even some yummy prawns! Finish your Sunday morning exercise with our locally made vodka from Stillwagon Distillery. You might be wondering though, “why are we having a festival celebrating gorse?” Well, if you don’t know, gorse is a nasty invasive seen throughout our area that is highly flammable, painful to the touch, and nearly impossible to remove. We don’t like it. We would even say we hate it! But, it’s here, it’s part of our heritage, and we often get visitors who know nothing about it. We like to think about it as making lemonade from some of the ickiest lemons we’ve ever seen. Luckily, Bandon has some incredible resources for dealing with this plant, including the Gorse Action Group. They’ll be at the festival along with others providing some not-so-fun facts about the plant, education about what it is and what to do with it, and, most importantly, will teach you how to stop the spreading of it. We hope in addition to leaving the festival with full bellies and great memories, you’ll also leave with a new-found disgust for the invasive villain! This festival is presented by the Bandon Chamber of Commerce and the Greater Bandon Association. 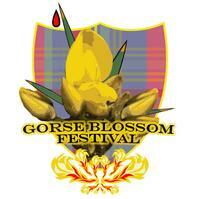 For more information, visit the website at: http://www.gorseblossomfest.comor send an email to info@gorseblossomfest.com.